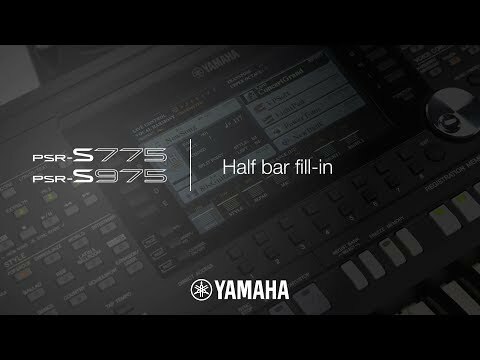 With a wide range of professional quality voices and features, the newly styled Yamaha PSR-S775 is an arranger workstation packed full of exciting features. Using the 61-key velocity responsive keyboard, you get access to over 1400 high-quality voices including Yamaha's trademark Sweet!, Cool! and Live! voices that offer unparalleled realism and response. To work with a large number of exceptional voices, the PSR-S775 also comes with over 400 powerful accompaniment styles. No matter what your style of playing the PSR-S775 has you covered with style. One of the most notable features of the PSR S775 is the excellent DSP technology, giving you some of the best sounds available out of a workstation such as this. A new "real distortion" effect is perfect or recreating legendary 60s and 70s style guitar sounds with a real analogue feel. The 1460 voices present on the Yamaha PSR-S775 are all usable and authentic, with an emphasis on highly detailed articulation to provide extremely real and professional sounds.